SOFIA, Bulgaria, August 28, 2017	(Newswire.com) - Credissimo is the only Bulgarian company featured in the European FinTech Awards 2017 where it is nominated for the "Alternative Finance" category. 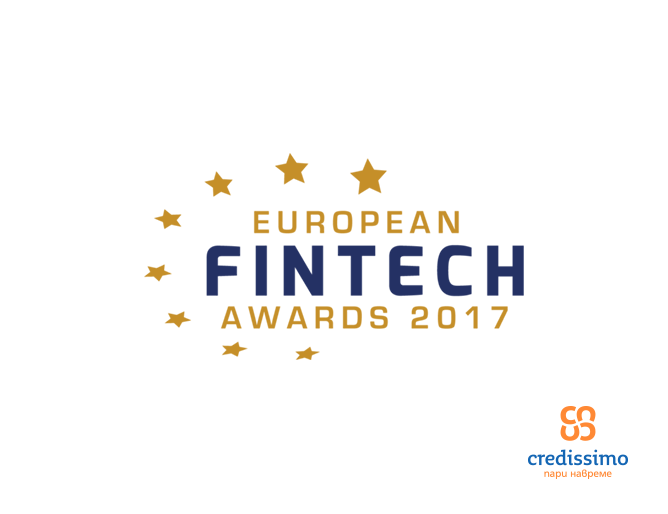 This prestigious nomination places Credissimo amongst lead European companies where it will compete with the largest FinTech organizations for 2017's European Innovator award. Having won numerous awards this year and receiving an invitation for this prestigious competition only serves to prove that Credissimo is successfully executing its policy as a customer oriented company. Some of the acknowledgments won this year were in the only consumer poll competition in Bulgaria called "Favourite Brand" where customers elected Credissimo as "Favourite Financial Institution" as well as overall "Favourite Brand". Innovative models and solutions, high client satisfaction rates and its expansion are some of the reasons why the online lending company Credissimo received a nomination for European FinTech Awards 2017. Within just a year the company established strategic partnerships with international technology giants such as Viber, Facebook, Instantor, Bitcoinpay and Green Business Bureau in an effort to further develop the company. Credissimo was also invited by Google to attend the Think Finance Central Europe 2017 event which features the largest financial organizations. 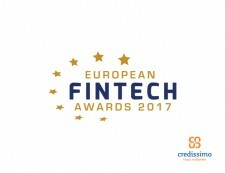 Representing Bulgaria, Credissimo has been placed amongst heavy and well established European Fintech competitor companies in the European FinTech Awards 2017, some of which are Mintos (Latvia), Lendify (Sweden), Viventor (Holland), Fidor Bank (Germany), Funding Circle (UK), Wonga (Holland), Zonky (Chech Republic), Cream Finance (Latvia), 4Finance (Latvia). Credissimo's CEO Mr. Iankov said – "The nomination we received is the first on an international level which is a huge acknowledgment for us. To be the only Bulgarian company featured in the most prestigious competition in the FinTech industry indicates that Credissimo is standing shoulder to shoulder with the most innovative and promising companies in Europe. After the numerous awards we received in the last few months, participating in this event is another high praise for our team's performance and diligence. I would like to wish all the participants in the competition good luck". European FinTech Awards is the most prestigious competition that evaluates European companies in the FinTech industry featuring more than 500 entrepreneurs, bankers, investors and consultants. This year's theme is "Coming Of Age Of FinTech". The winners will be announced at a special ceremony in Brussels on the 27th of September. If you would like to support the only Bulgarian company in the European FinTech Awards 2017 you can cast your vote here. Credissimo is one of the fast-growing Fintech structures based in Sofia, operating on emerging markets such as Bulgaria and Macedonia. The company provides financial solutions in response to the arising demand of flexible short-term consumer loans. Introducing to the world of fast loans the first of its kind fast loan chatbot - SIMO, the company took three first prizes and an additional second place for technological innovation, concept, communication and implementation. Credissimo JSC holds the lead position for short term lending in Bulgaria for third consecutive year. The certificate "Number 1 company for short term loans" is prestigious achievement issued by the financial portal 24pari.com on the basis of consumer's interest registered throughout the year. 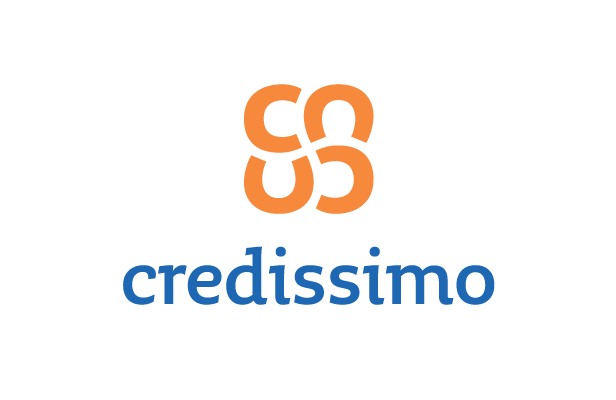 The European fintech company Credissimo is the first company in the world to launch a chatbot service for online consumer loans. Over the last weeks, world leaders in the financial sector, such as Bank of America and MasterCard, have launched chatbot services in similar areas.